Joe Lawless brings over 25 years of experience in leading nonprofit and philanthropic efforts to his work as Assistant Chancellor for Strategy and Assessment at the University of Washington Tacoma. In 2007, Joe came to UW Tacoma to create and lead the Center for Leadership & Social Responsibility, which he did for eleven years. 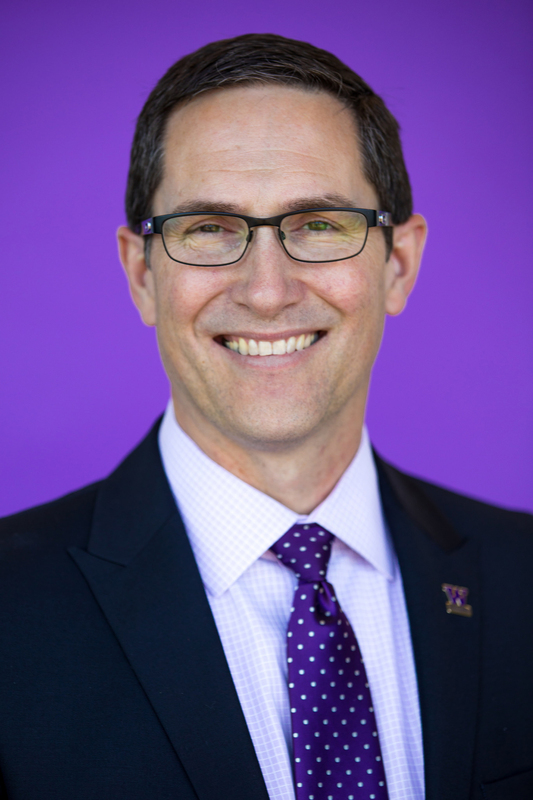 Before coming to UW Tacoma, he was Director of Corporate Partnerships at Tacoma Goodwill after serving as Executive Director of the Mary Bridge Children’s Foundation. Joe has served on the boards of multiple local not-for-profit organizations, as well as advising organizations on everything from philanthropy planning and board development, to strategic planning and community partnership building. He brings this experience, along with his focus on corporate citizenship and organizational change in the Milgard School of Business MBA to his work on strategy and assessment at UW Tacoma. Lawless, Joe, "Microsoft and the Future of AI" (2018). MICCSR Case Studies. 12. Lawless, Joe, "Millennial Workforce at Premera" (2018). MICCSR Case Studies. 13. Lawless, Joe, "Global Diversity & Inclusion at Microsoft" (2017). MICCSR Case Studies. 11. Lawless, Joe, "T-Mobile: Ramping up Impact with WinWin, Tri-Sector Strategies" (2017). MICCSR Case Studies. 10. Lawless, Joe, "2016 CSR Planning at PEMCO Insurance" (2016). MICCSR Case Studies. 8. Lawless, Joe, "2016 Tacoma Eats - Minimum Wage" (2016). MICCSR Case Studies. 9. Lawless, Joe, "Sustainable Innovation at REI" (2015). MICCSR Case Studies. 1. Lawless, Joe, "Investing for Good in a Shared Economy" (2015). MICCSR Case Studies. 6. Lawless, Joe, "Outerwall and Beyond" (2014). MICCSR Case Studies. 2. Lawless, Joe, "Better Living at Walmart?" (2014). MICCSR Case Studies. 7. Lawless, Joe, "Sustainable Fashion at Nordstrom" (2013). MICCSR Case Studies. 3. Lawless, Joe, "Kentucky Fried Transparency" (2013). MICCSR Case Studies. 5. Lawless, J., & Purdy, J.M. (2013). Teaching Responsible Leadership in Theory and Practive. In Inspirational Guide for the Implementation of PRME (pp. 29-33). Greenleaf, Sheffield, UK. Lawless, Joe, "Victoria's Little Secret" (2012). MICCSR Case Studies. 4. Jill M. Purdy and Joseph Lawless (2012). Learning about governance through nonprofit board service. Journal of Management Education. 36(1): 33 – 65.